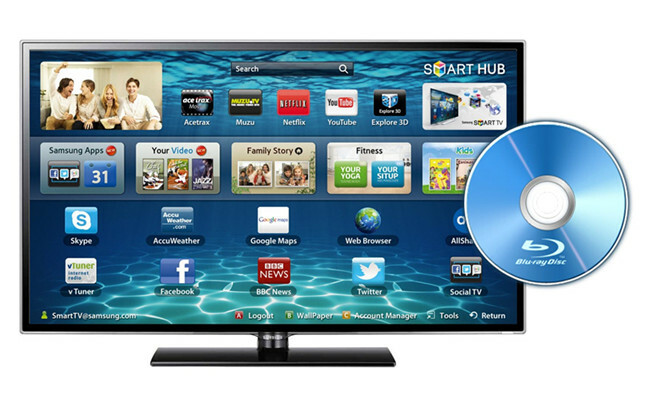 Home » How to convert Blu-ray for playback on Samsung Smart TV? If you have the same concern as previous mail shows to prevent the original Blu-rays from scratches or any damages while still be able to watch movies on HD TV, it’s better to convert Blu-ray movies to Samsung Smart TV compatible video format and watch movies on your TV freely. Pavtube Blu-ray Ripper is considered as one of the best Blu-ray ripping tools on the market, with it you could easily back up original Blu-ray/DVD movies to hard disk with original structure; moreover, this app works well with BD/DVD ripping to many other video formats for multiple devices including iPad Air, iPhone 5S, Apple TV 3, Amazon Kindle Fire HDX 7, Samsung Galaxy Tab, etc. 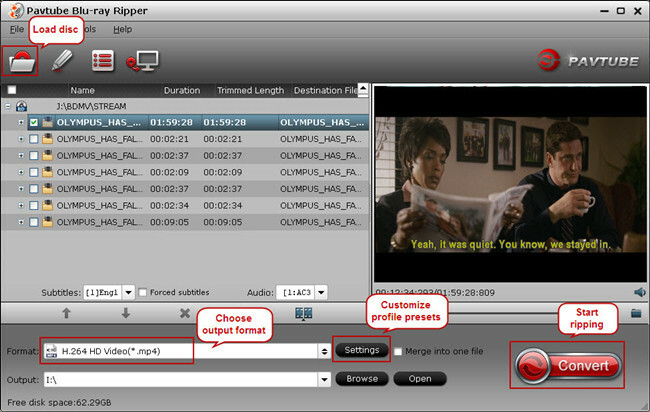 Launch Pavtube Blu-ray Ripper, click the “Load Disc” button to browser to disk driver and import your source Blu-ray. To get Blu-ray playable on Samsung Smart TV, we need know its supported video and audio formats first. 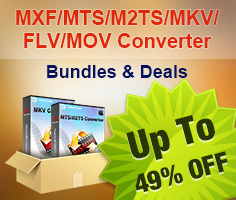 On Samsung official website you would see all video file formats Samsung Smart TV can support, and you are suggested to choose MKV, H.264, AVI for output. Double check previous steps, return back to Pavtube UI and hit the “Convert” icon to start ripping. Once it finishes, open output folder, locate the converted MP4 file and stream to your Samsung Smart TV for sharing with family and friends. Tip: To save Blu-ray/DVD movie to hard disk with original structure, this Blu-ray Ripper features “Full disc copy” so you can fully back up disc content with super fast speed. It usually takes 30 minutes- 1 hour to back up a 25 GB Blu-ray and 20-30 minutes to copy a standard DVD.